I stayed a week on the island in December 2000 and January 2001. Fernando de Noronha is a small archipelago in the Atlantic Ocean, just south of the equator, some 300 kilometers from mainland Brazil. Politically, the island belongs to the Brazilian State of Pernambuco. The main island (and the only inhabited one) has the same name as the archipelago. The main island has a maximum length of some 10 kilometers and a land area of some 18 square kilometers. Some 20 islets and stacks surround the main island. 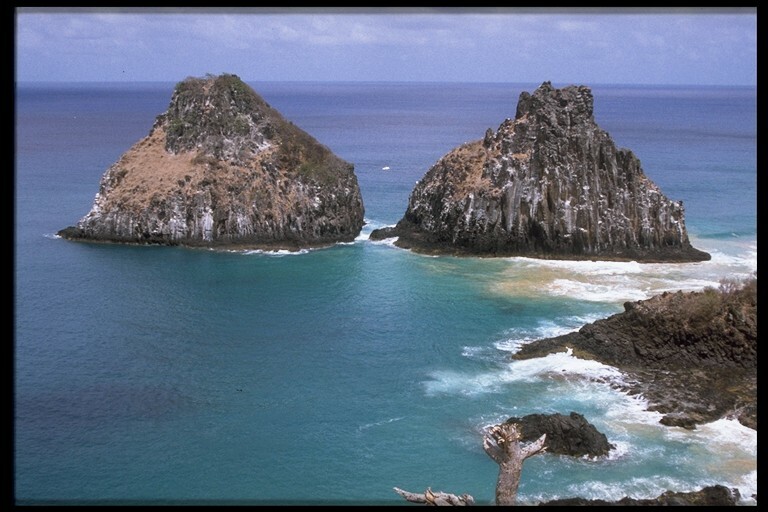 Fernando de Noronha has a tropical climate, with the rain period from January to August. 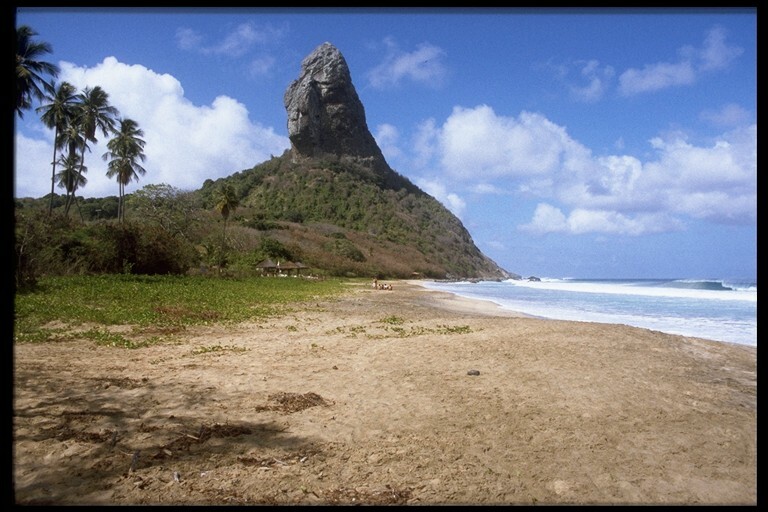 Fernando de Noronha has magnificent beaches, rocky shores, offshore islets and tropical forests. The top of the island stands at 323 meters and dominates the scenery; it is an old “chimney” of one of the volcanoes that once formed the island. The about 3,000 islanders mainly live from fishing, tourism, and public service in maintaining the ecology. No more than about 500 tourists are allowed at one time, in order to maintain this ecological jewel as clean as possible.